In the race to succeed retiring Rep. Dave Reichert, Dino Rossi has agreed to just the single debate with Kim Schrier. 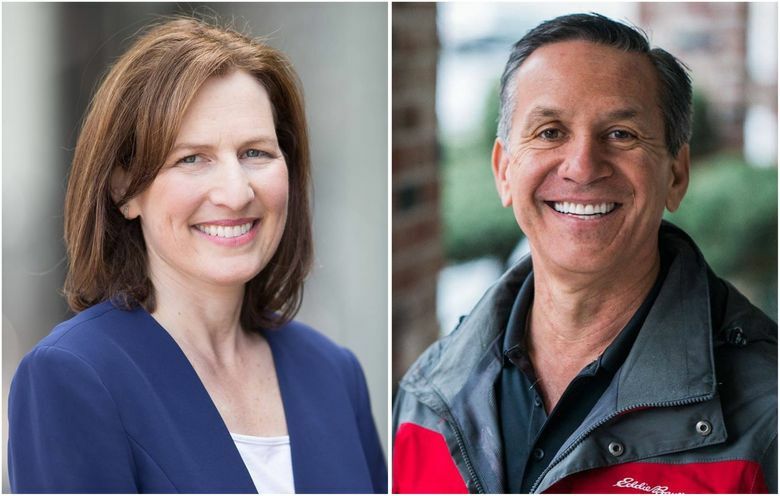 Republican Dino Rossi and Democrat Kim Schrier will face off Wednesday in their only scheduled debate in the 8th District congressional race. The hour-long debate, at Central Washington University in Ellensburg, starts at 7 p.m. and will be broadcast live on KING 5, KVI Radio, KUOW, NCWLIFE Channel, KPQ AM560, and AM 770 KTTH, according to the Washington State Debate Coalition, the debate organizer. The debate will be live-streamed on websites including KIRO 7 and Q13 News. Rossi and Schrier are vying to succeed retiring U.S. Rep. Dave Reichert, R-Auburn, in one of the country’s most-watched House races. Schrier had sought multiple debates, but Rossi has agreed to just one.